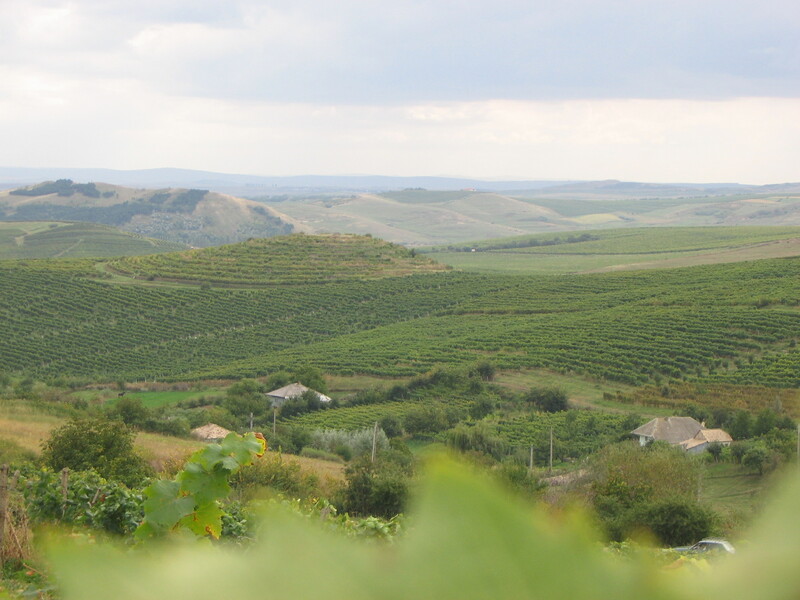 Cotnari vineyard is located in the north-east of Romania, at 47.3 ° lat. N and 26.3 °long. E, in the transitional zone between the Suceava Plateau and the Moldavian Plain. The vineyard landscape is hilly, with altitudes ranging between 116 and 310 m ASL, and slopes are of 3-15% inclination with predominantly southern aspects. The representative soil types are chernozems, gray soils and regosols. The local climate is temperate continental, with an average annual temperature of about 9.3 °C, annual precipitation of 471 mm, real insolation of 1,500 hours and a global radiation of 82-98 kcal/cm2. 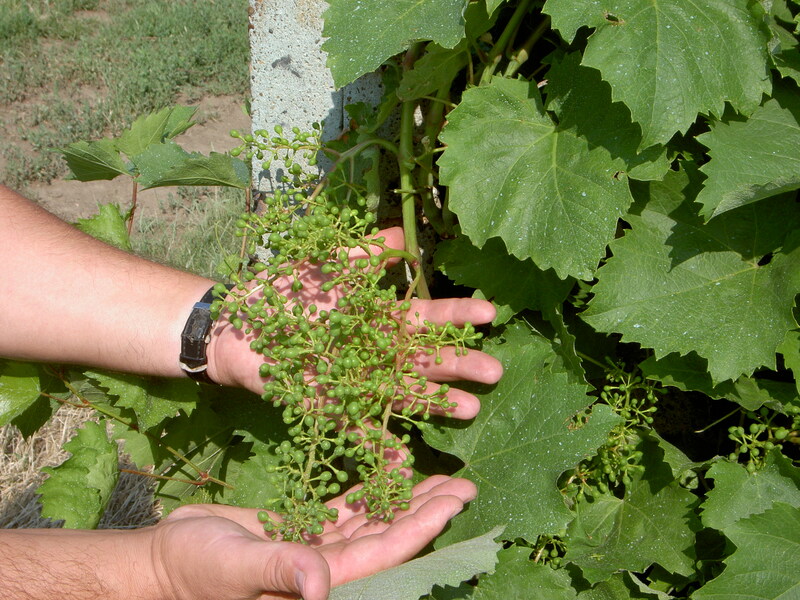 The main winegrape varieties grown in Cotnari vineyard consists of four local varieties producing white wines: Tamâioasa românească, Feteasca albă, Grasa de Cotnari and Frâncuşa. 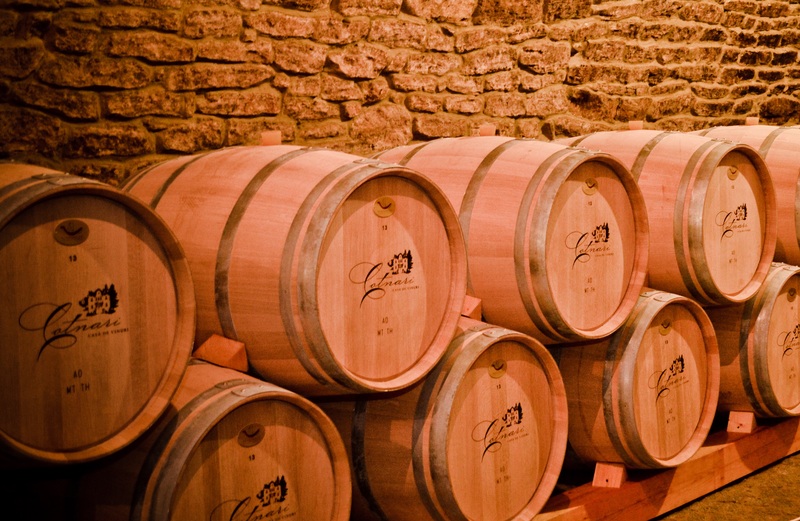 Over the last decade, as a result of climate change, the Cotnari vineyard has become suitable for red wine production, allowing it to diversify by introducing the black varieties Busuioaca de Bohotin and Feteasca albă. 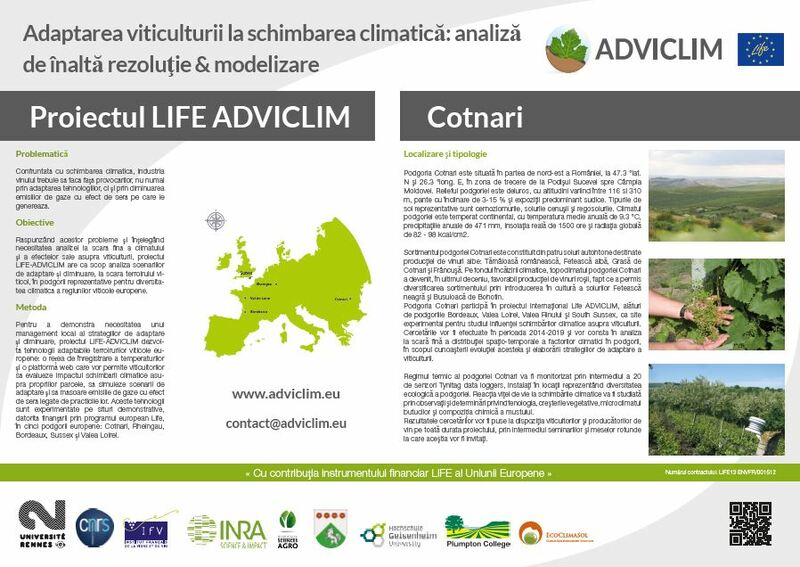 Cotnari Vineyard is participating, within the international project ADVICLIM, alongside the Bordeaux, Loire Valley, Rhine Valley and Sussex vineyards, as an experimental site for studying the influence of climate change on viticulture. The research will be carried out from 2014-2019 and will consist of the high-precision analysis of the spatio-temporal distribution of climatic factors in the vineyard areas, in order to study their evolution and to develop adaptation strategies. 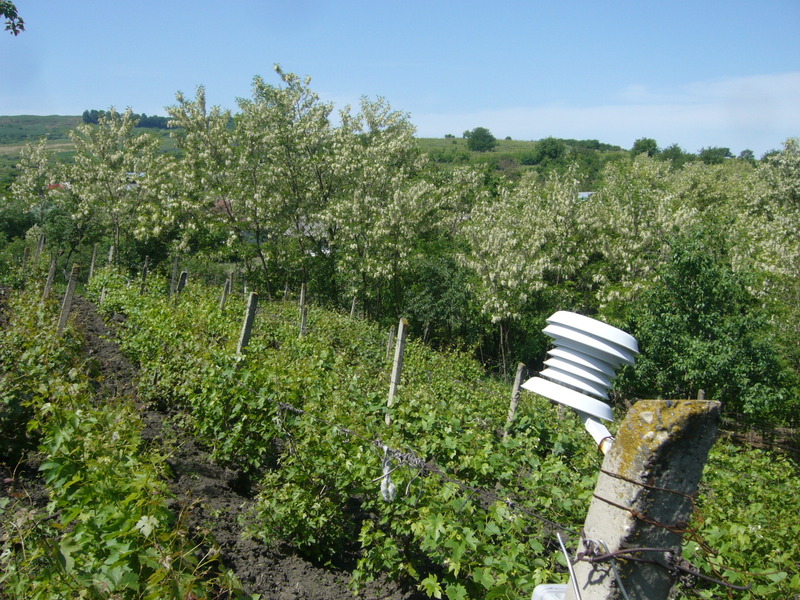 The Cotnari vineyard’s thermal regime is being monitored by means of 20 temperature-sensing data-loggers installed in locations representing the vineyard’s ecological diversity. The grapevine’s reaction to climate change will be studied by the observation and analysis of the phenology, vegetative growth, canopy microclimate and chemical composition of grapes. Research results will be made available to growers and wine producers throughout the project through seminars and workshops.